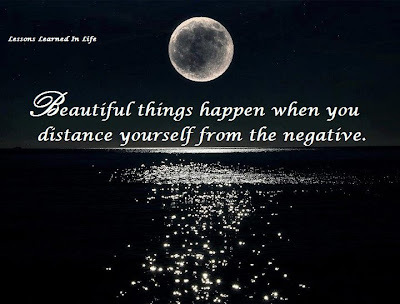 Beautiful things happen when you distance yourself from the negative . Negative people are the worst asset a person can keep. Keeping them is bad for a person that really wants to enjoy the beautiful things of life. To experience the beautiful things of life, the best thing to do is to create a barricade between yourself and them. Negative thought should also be avoided. This can only be achieved by reprogramming your mind to think positive.